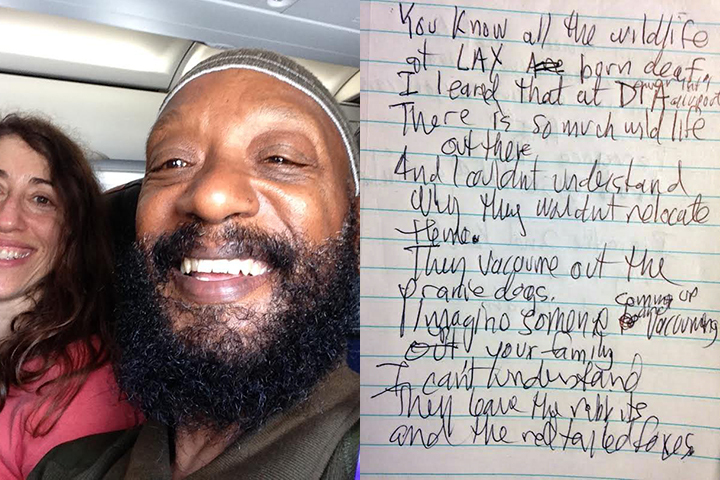 And So the Pirate Sings: Paul M. Flavor of NO: Bradley S.
Terrance sat next to me on my flight from LA to JFK. He works in sheet metal – on airplanes, architectural metals and HVAC. “I’m not working on your cars.” He had the happiness thing down. “I just laugh. I’m in the second half of my life.” He dictated. I wrote it down. why they wouldn’t relocate them. They vacuum out the prairie dogs. Read a poem by Paul M.